Welcome to JT Tech Electronics! 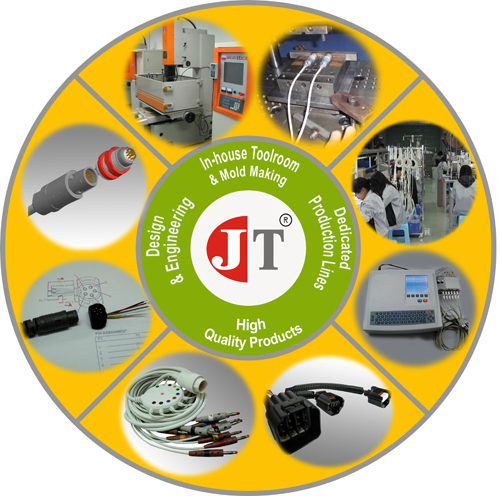 JT Tech Electronics is a leading manufacturer specializing in custom molded cable assemblies and wire harnesses. We engaged in design, development, production and supply into a wide range of industries including Medical, Electronics, Automotive, Telecommunication and Original Equipment Manufacturers (OEMs). 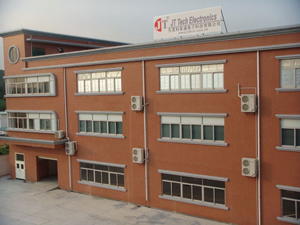 JT Tech Electronics is a cost effective manufacturer with dedicated production facilities located in DongGuan, China. We utilize state-of-the-art techniques in all facets of production and strict process controls to help ensure quality and consistency in every cable. We provide rapid prototyping, quick turn preproduction to OEMs for high-mix and low-medium volume needs. We offer a diverse range of products from simple ribbon and discrete wires to highly complex medical and automotive assemblies. At JT Tech Electronics, we focus on engineered solutions that provide our customers with high quality, cost effective designs for their specific applications, backed by superior customer service. From design and tooling to manufacturing, JT Tech Electronics provides a total solution for all of your custom molded cable assembly needs. Working with us will empower your business, as we promise you a strong and ready supplier and partner. We look forward to the opportunity to prove ourselves to you. We are happy to serve.